The Seiko Men’s Beige Nylon Strap Solar Dress Watch is a versatile accessory for day or evening wear. A black dial with large luminous hands and markers is protected by a durable crystal for a longer lifespan, while the solar-powered construction eliminates the need for battery changes. Completed with a comfortable nylon strap, this men’s watch is stylish as well as practical. Nice gift for a young man’s graduation gift inexpensive to me,well made,nice looking I recommend. The new price is certainly a bargain. 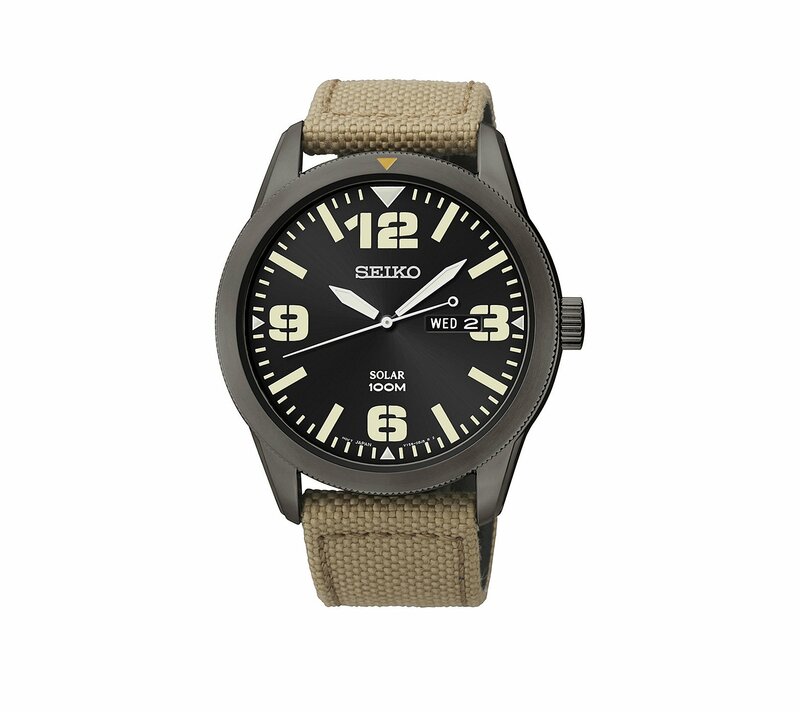 and the watch is certainly a good looking basic waterproof piece with large numbers. However, please shop around and compare before ordering. This watch looks old-fashioned but sounds safe if it does resist water well enough.